Our family has been in the residential concrete construction business since 1977. 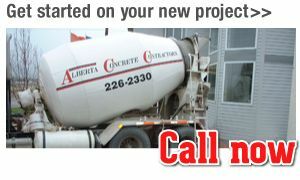 Our company now operates under the trade name Alberta Concrete Contractors Inc and has since 1988. At Alberta Concrete Contractors Inc, we’ve versatile in all facets of concrete construction (supplying, cribbing, placing and finishing). We offer competitive rates without compromising safety or quality. We take pride in our company and in our work. Call us if you’re in the market for a new driveway, walkway, patio or other concrete services. We look forward to working on your project.